It has been agreed on, the objects that are falling under the law of ‘discommunization’. As mentioned before by the Secretary of the City Committee, Alexei Horoshkovatyy, the list consists of: 183 streets, seven regions *except Moscow and Kiev*, and the metro station “Radianska”. Work is still in progress, and there are some questions regarding the 47 streets, alleys, and two subway stations -“Red Army” and “Metrostroiteley named Vashchenko” that has to be discussed. 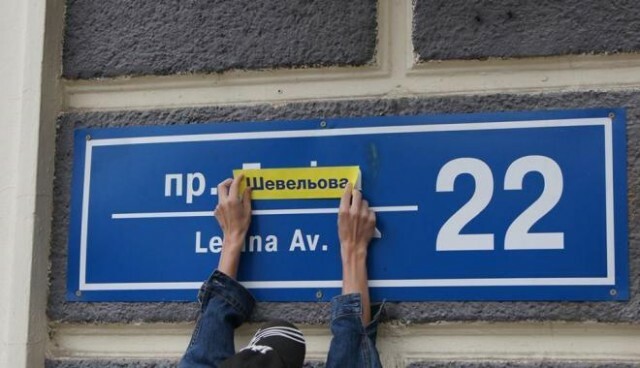 Meanwhile, from the citizens of Kharkiv there are more than 2,000 proposals with new streets names. The versions will be published and public hearings will be held in all regions of Kharkiv. After that, the officials will make a final decision on the renaming; by law, renaming must be no later than the 22nd of November.